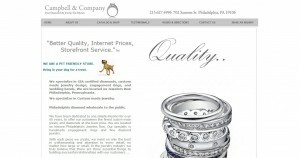 Campbell & Co address, phone, website, and more. Following a family tradition for over 60 years, Campbell & Company Jewelers stresses reliability, honesty and integrity in service to our customers. 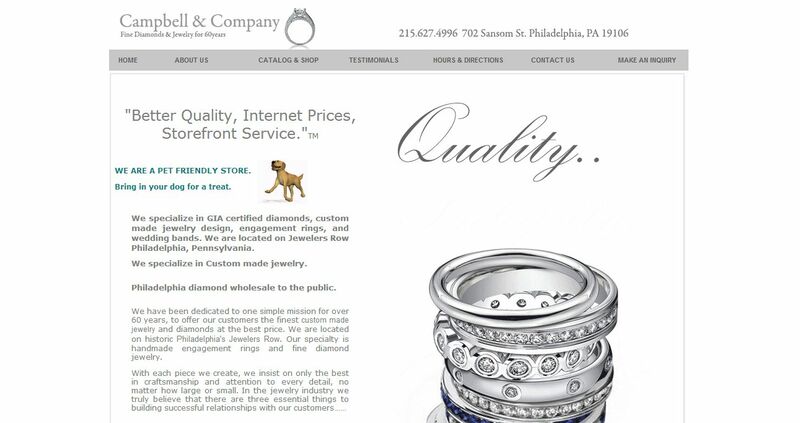 We specialize in custom made jewelry.We are located on historic Philadelphia’s Jewelers Row.Voted the best place to buy diamonds in Philadelphia.We also are diamond and jewelry buyers in philadelphia. We are direct importers of loose independentlycertified diamonds of all sizes, shapes and qualities.We specialize in custom handmade engagement rings, wedding bands, anniversary rings and fine diamond jewelry. With goldsmiths and diamond setters on the premises we are able to fulfill any of your jewelry needs in-house. We also offer Computer Aided Design (CAD) services. We restore and repair all your old jewelry in our on site manufacturing facilities.